As we know, Amazon is the largest e-commerce giant in the world. A lot of people have flocked to the platform to start their own businesses. 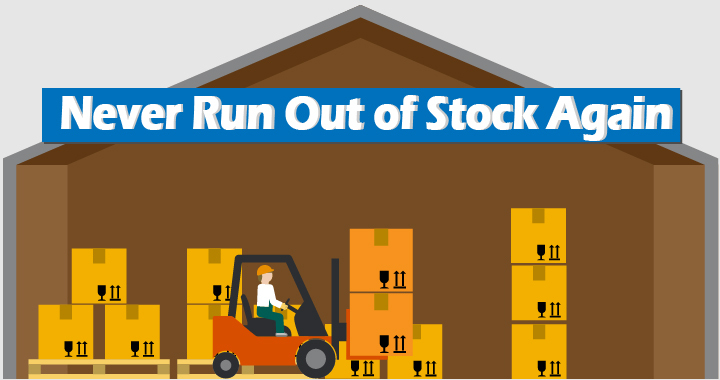 As a result of this, the competition between Amazon sellers has become increasingly fierce. What will make you different from them? This could possibly be one of the biggest questions you are facing on a daily basis. How can you build and maintain your sales with large profit margins on Amazon? The key answer in this instance is simple. It is all in how you drive traffic to your Amazon page and how effectively you optimize Amazon listings to boost conversions. As a result, listing optimization will be something that you will have to think about and prioritize on a daily basis. If your products are quite popular on the market, this will be the best way to achieve a competitive edge on an ongoing basis. The difference between the poorly and well-optimized listings will show up like night and day in most cases. Generally, your product listing should include your product title, bullet points, description, images, reviews, and pricing. At this point, you are probably asking yourself a few questions. Like, how do I optimize Amazon listings? We will take a look at the solutions to this problem throughout this article and break through all the barriers standing in your way to making it happen. This is ultimately your first step to success. Your product title is vital to your business. It should tell visitors, searchers and the platform what your product is about. Amazon’s search algorithm pulls keyword search terms, directly from your title. As a result, you have to maximize the keyword function in your title, in order to drive more relevant traffic towards your listing. Be sure to include in your title: your brand, product line, material, a key feature, product type, color, size, and quantity. Also to include to make your title even stronger is highly relevant long tail variation keywords. These are the keywords that follow on from your primary keyword. Find your best 1-3 keywords as your primary keywords in your title, and then be sure to make them highly relevant to your product. Use dashes (-) and other punctuation marks to break up your line of keywords and ensure their readability. It will stand in your favor when a customer searching for your product can see at a glance exactly what it is about. Add extra functions and information about your product to increase traffic to your page. Write your descriptions aimed directly at your customers to attract their attention and more so, clicks on your product. This will increase your popularity on the Amazon algorithm. Once this happens you will be pushed higher in the Amazon search engine rankings. Capitalize The First Letter Of Every Word, in your title. Numbers should be written in numerals only. Your bullet points give you an opportunity to sell your products your Amazon listing. It is the part that your visitors will read very carefully if they are undecided about buying, or if they want to know what the key benefits are. Let’s take a look at some of the big players on the platform and see how they create their bullets. Make sure that you use all of the 5 bullet points offered to you on your product listing. Imagine that you are a potential buyer. You will want to know the purpose of the product and the reason why you should buy this particular product opposed to any other product. Use a persuasive tone in your description and explain its uses. Make it easy to understand at a glance what the features are. This is very important. Your potential customer may already know what they are looking for. If they see your product features match their need, they will more than likely stop to view it. Clearly highlighting the benefits is a great way to attract attention and show that your product will be a good choice. When potential buyers are shown that their orders are guaranteed, it greatly enhances the trust bond between the seller and buyer. This helps put the customer at ease to decide on their purchases, especially when they are uncertain about a particular product. Helping your customers solve everyday problems, will build a good report between you and could make them loyal customers for life. 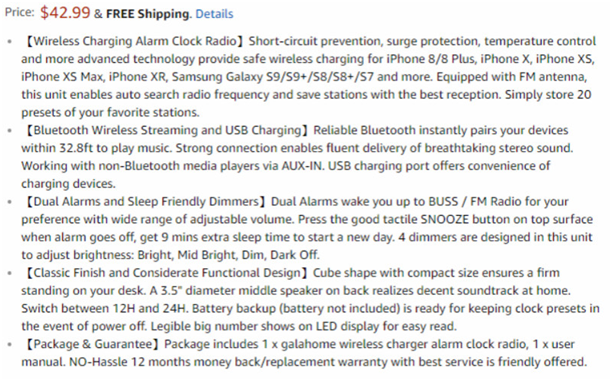 For example, let’s take a look at the bullet points below of a wireless charging alarm clock radio for the bedroom. Short sentences and short paragraphs filled with bite-size information that is highly descriptive and easy to read. Think and talk about how and why your product could improve your customer’s lives. Everybody enjoys a good story every now and again. Taking this approach with your descriptions will be different from most of your competitors. Doing it this way would be more engaging with your audience. The main idea is to attract interest. Explain more of the secondary features and functions of your product with a number of keywords. These will help boost your visibility in the Amazon search engine. In this instance, try to help your buyer imagine what it would be like to use your product and what advantages they would experience in using your product. This is a great way to remind your potential customers that this option is available to them. In this way, a hesitant customer will feel more at ease to try your products risk-free. 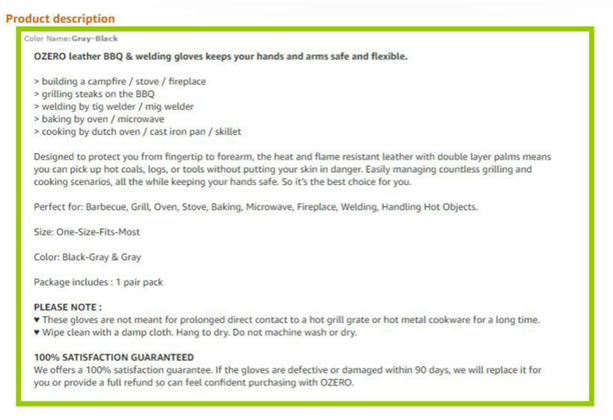 This will help to persuade visitors to order your products risk free. Your images will be the first thing that your potential customer’s view before buying your product. Online sales are highly dependent on the quality of your uploaded images. As the saying goes,seeing-is-believing. It’s safe to say that the product image could make or break your sale. You are allowed to upload 9 images per product. The first image has to conform to Amazon standards, but the remaining 8 images can be anything you choose. From lifestyle, info-graphics, or whatever you think could boost your sales. The regulations for product images on Amazon stipulate that images submitted to Amazon must be at least 1280 pixels on the longest side by 2560 pixels or larger preferably. These regulations are of utmost importance, as you will find the standard you need to meet in order to compete with other sellers in your niche. If you notice that the average image quality is poor in the product category that you are listing, it will be to your advantage to stand out from your competitors with professional images. This will increase traffic to your listings and drive conversions. Generally, people are tempted to purchase or not to purchase before they have even fully read the listing description. Most potential customers have already made their minds up just by viewing your pricing and images. Reading your descriptions is secondary in their purchasing choice. Make sure that it is a professional photo without any drawings, illustrations or text. The size of your image should be 1000×1000 pixels with the highest dpi quality to fill the entire frame. Be sure to showcase your best images in compliance with the Amazon regulations. High-end professional images will have a huge influence on click-through rates and conversions. Make sure you take different angled photos of your products to give an all-round view of what they look like. Product reviews from your customers is a vital part of your product listing optimization. Your reviews are the best way to present your social proof and to generate trust as well as confidence in your potential customers. Product reviews generate traffic and make sales happen easier. 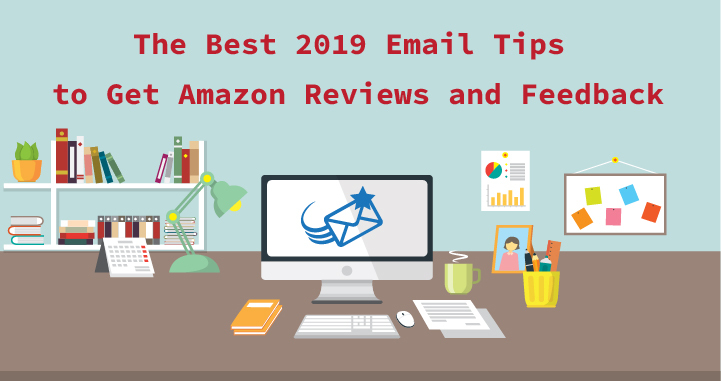 Your reviews will fuel your ratings and give your Amazon listings credibility with future buyers. This is a pivotal point in your growth and optimization business plan. As a result, optimizing your product review is a big part in boosting your sales. This will help you to keep your customers informed about their order information. It will follow-up with them after their delivery to encourage their feedback and leave reviews. By investing in product quality control, you can ensure that every order sent out will meet a high-quality standard. Using these platforms to create an outreach campaign with your loyal customers, will increase their reviews on your listings. Ask someone you know, to buy and review your product. Let them leave an in-depth review of your listing. Ask them to take some photographs of the product showing its uses that may be less obvious on your listing. If possible, you could invite someone who has an established blog or YouTube Channel to test and review your product. They would then post their review with a video of them using it onto their platform. Don’t ever break the Amazon rules. If you do, it could result in you losing both reviews and potentially your Amazon account. Please be aware that if you incentivise any reviews before selling a product, you could be banned as this is illegal on the Amazon platform. 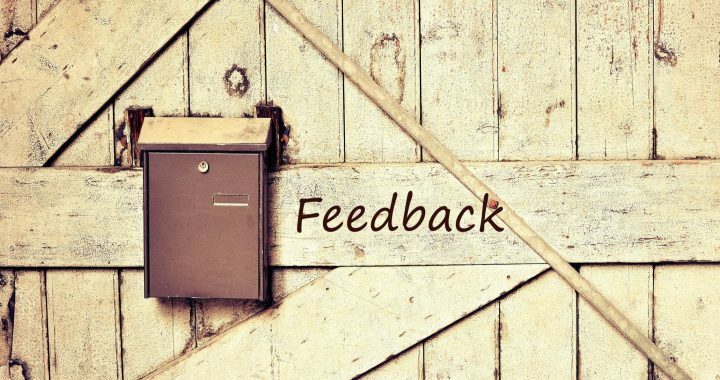 If you receive negative feedback, please apologize at once and find a resolution to your customer’s complaint. Your response should be personalized to assure your customer that they are in safe hands. A positive and respectful tone in your correspondence will assist in turning the negative situation into something positive. Once you have done this you can then compare the pricing. From there you can determine the most competitive pricing for your product. As you see changes in the market, do not hesitate to react immediately. Try to optimize your prices real-time to increase traffic and click-through rates to your listings is also a good way to optimize your listings. This includes cases, protectors, carriers, etc. In theory, if the price of a complementary item goes up; the demand of your product may drop. You must keep an eye on the prices of complementary items so that you can change your prices accordingly. If you find your traffic and conversion rates are not as good as you had expected, there is another way for you to boost your sales. You can sell various complementary items together at a discounted rate. By bundling your product sales, you can avoid the price fluctuation in the market. This will allows you to create new products and make it possible for you to be the only person selling this particular bundle in your niche. These product bundles will reach far more people than lone standing listings. The reason for this is you will have more hidden keywords and fewer competitors. Something you must remember is to comply with Amazon product bundling guidelines. Remember your bundled products cannot be identical. You should pair products that compliment each other to avoid alienating your buyers and list them in one category. Make your product listing attractive and make sure customers can see what you sell within 5 seconds of seeing your title and images. A simple and effective listing will impress people with their eyes first. Your full commitment to optimize Amazon listings will increase your business and maximize on revenue. It is impossible to increase traffic, click rate, and conversion rate overnight. 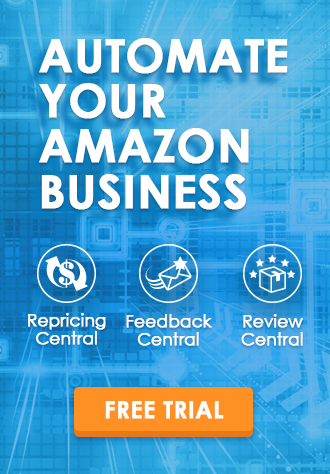 Yet with all the built-in development tools offered on Amazon, you can exert your efforts and boost sales with the established Amazon Algorithm. Even if competition is as brutal as ever, great success is still available to you. All you have to do is work a little harder (or smarter) and make your products stand out from the rest. An impressive high–quality Amazon page is the most important aspect of your business. I hope you found some useful tips in this article on how to optimize Amazon listings. 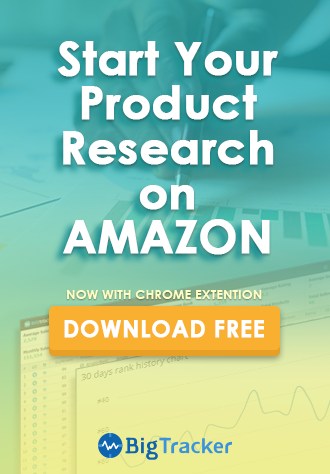 If you want to know more on how to creatively optimize Amazon listings, you can find it here –impressive page with great titles and keywords.